Things Are Always Blooming At Treasures. We Can Always Help You Find Your Cup Of Tea . We Receive Over 1,200 New Items A Week. Things Move Quickly! Please call our office at 774-293-1564 before bringing by any donations. Donations can be received between 10-4 and must be suitable for resale. We reserve the right not to accept certain items. We are a non-profit organization. We can provide a signed receipt for tax purposes. Any items that we cannot sell are given to local charity groups or recycled as appropriate. Our volunteers’ sort, clean, price, and handle upwards of 1,200 items per week. Help us by providing clean and organized donations. The items below are either illegal, unsafe or not likely to sell in our store. If you have any questions, please feel free to contact us below. Any baby walkers, strollers, high-chairs, car seats, etc. Mattresses, Waterbeds, Bed Frames, Head Boards, Night Stands, etc. When you donate to Treasures, shop at our store, or give online, you are helping many people. Our dedicated volunteers are the engine to Treasures by using their God-given talents. They donate many hours to serve you in a clean and always changing upscale thrift store. More than 1,200 items arrive each week. We couldn’t do it without our loving volunteers. Thrift stores, like Treasures, practice the best method of recycling: reuse. IT’S SPRINGTIME! We will post notices, special items, sales, etc. on our Facebook page. Click here or the link above. Learn more about our sponsors below. 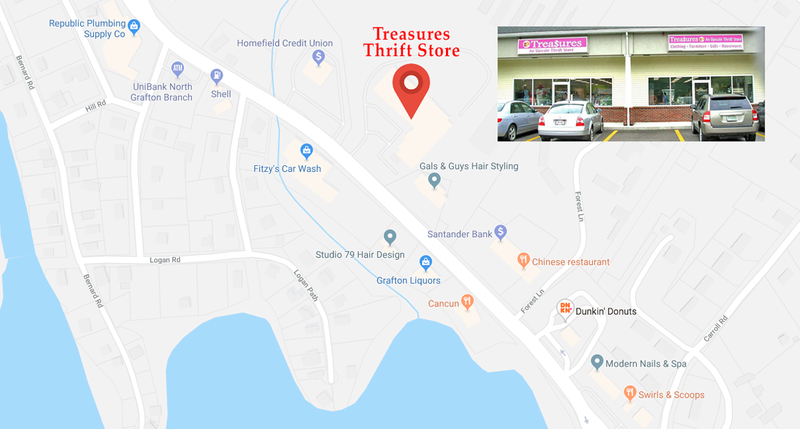 Treasures Thrift Store directly benefits Whitinsville Christian School students by helping to offset tuition increases. A community and an education that is God-centered and student-focused. The WCS campus is home to over 600 students on 40 acres strategically located in the Blackstone Valley of Central MA. Here we offer a vibrant environment of 21st century learning for active and curious preschoolers, flourishing elementary school students, developing and changing middle schoolers, and a curriculum of college prep, honors, and AP courses to meet the academic challenges for high school teens. And that is just the beginning of a wholesome Christian education where faith and learning become one. 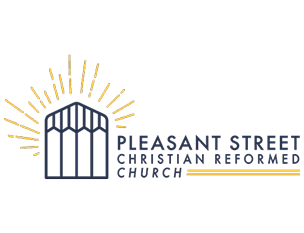 At PSCRC, following Christ, we devote ourselves to living out God's transforming story and beyond. 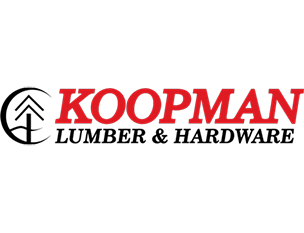 Koopman Lumber operates 8 locations in Massachusetts. We are dedicated to our communities, customers, DIY's, and PRO's. We have three full-line lumber, hardware, paint, lawn and garden stores in Whitinsville, Uxbridge, and Grafton, MA, one lumber, hardware, paint, and design center in Sharon, MA, a full-service paint store in Milford, MA, and lumber yards in Hudson and Andover, MA. We also operate a lumber distribution center servicing the building trade. 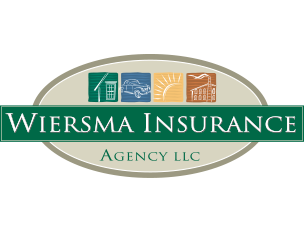 At Wiersma Insurance,we build relationships based on care, honesty, respect, and trust. We offer a full range of choices for our customers. We represent 11 primary insurance companies and dozens of secondary carriers. This unparalleled access means our customers receive high-quality insurance products at excellent prices. © Copyright 2019, Valley Thrift Shop, Inc. All rights reserved.